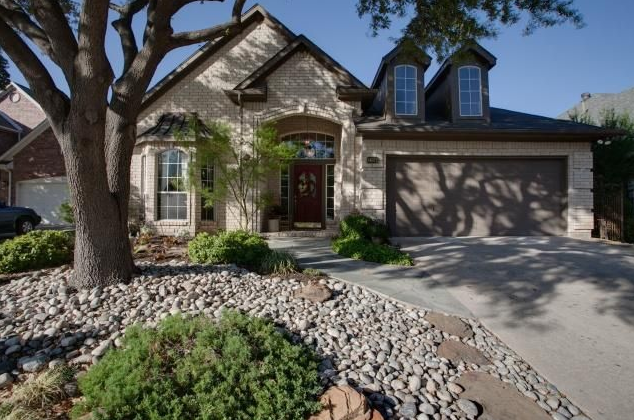 Exceptional and elegant home on a cul-de-sac lot with lake views! Shows like a model home. Decorator colors and tiles, rich wood flooring, and vaulted ceilings.Exquisite formals and gorgeous island kitchen. Private master suite with double frayed ceiling and french doors to backyard paradise. Master has walk-in shower and furniture style dual sink cabinets. 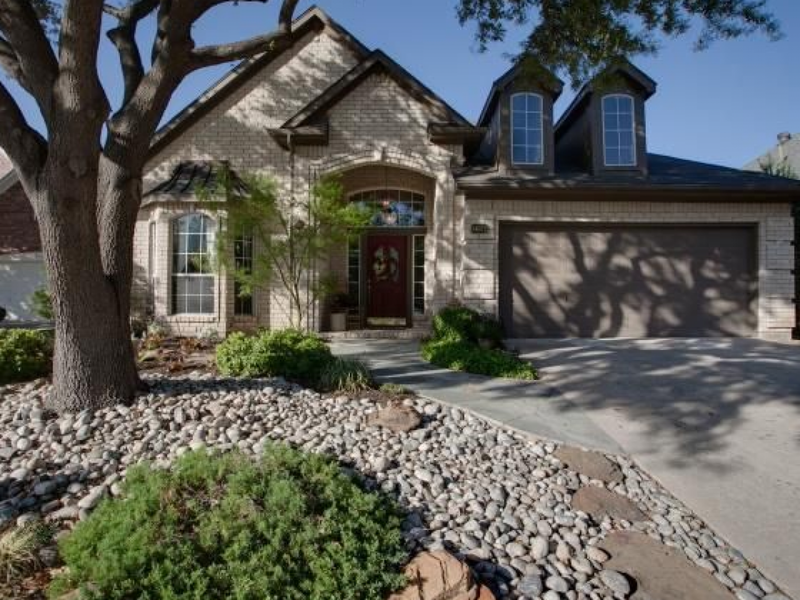 Backyard oasis has an expansive covered patio, fire pit, built-in grill and a stunning heated pool. Perfect for entertaining.